Ok, we all saw this image from THE AVENGERS last week that was taken from the latest issue of Empire Mag. but here it is in all its hi-res glory. 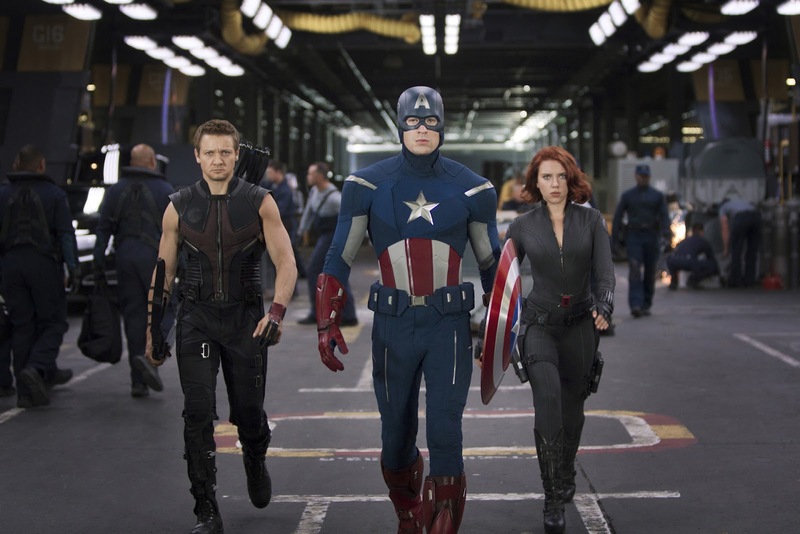 Hawkeye (Renner), Captain America (Evans) and Black Widow (Johannson) marching into battle, or something like that. Continuing the epic big-screen adventures started in "Iron Man," "The Incredible Hulk," "Iron Man 2," "Thor," and "Captain America: The First Avenger," "Marvel’s The Avengers is the super hero team up of a lifetime. When an unexpected enemyemerges that threatens global safety and security, Nick Fury, director of theinternational peacekeeping agency known as S.H.I.E.L.D., finds himself in need of ateam to pull the world back from the brink of disaster. The Avengers stars Robert Downey Jr., Chris Evans, Mark Ruffalo, Chris Hemsworth, Scarlett Johansson, Jeremy Renner, Tom Hiddleston, Stellan Skarsgård, Samuel L. Jackson and will fly into theaters on May 4th.